What’s the latest with ELAN? 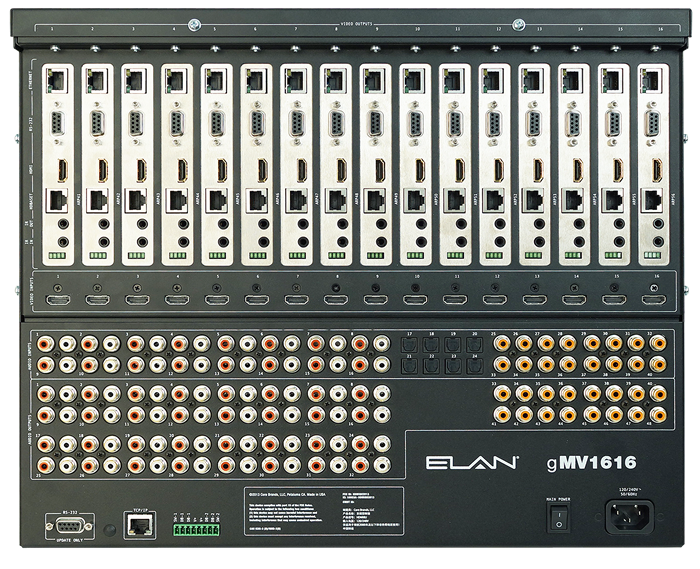 ELAN celebrated its 25th anniversary at CEDIA 2014 and did so with the most ambitious roll out of new entertainment and control solutions in its history. The brand that quite literally invented easy-to-install and even easier-to-enjoy whole home control is introducing its next-generation, Control Platform, new system controllers, an entire line of Audio-HDMI switchers, an array of lighting and security attachments — and the ELAN g1 System, our most affordably priced entertainment and control system ever. We are also launching new user interface devices! What are the key benefits to the homeowner? The new price points will allow our partners to deliver the great ELAN experience to more homeowners than ever with more options, attachments, and an even easier path for future upgrades — these are the main benefits ELAN is bringing to market at CEDIA. For example, with the new ELAN g1 homeowners have a new affordably simpler entry point into the world of entertainment and control. Integrators will start with g1 for their builder packages. The SC2, SC10 and the UltraMatrix offerings allow Integrators easily solve complex Whole Home challenges particularly when distributing whole-home audio and HDMI Video. The g1 features up to 16 zones of security; 2 door locks; media that that can control 1 AVR, 32 displays, and an unlimited number of ELAN zones; as well as controls for lighting (24 devices and up to 24 custom g! keypads), climate (3 stats), video (3 IP cameras), irrigation (16 groups and 256 zones) — plus the ability to add on an unlimited number of ELAN attachments, making possibilities endless for homeowners. The SC2 and SC10 provide full ELAN control with out of the box further simplifying system design and deployment. Also, the entire system can be controlled by a smart-phone or tablet. This makes it extremely easy for the end-user to become accustom to operating every aspect of the system since it works off of devices they already use daily. What are the key benefits to the integrator? The new system controllers built on this platform offer integrators a great deal of benefits as well. The gSC2 and gSC10 controllers utilize the intuitive ELAN configurator, which makes it easier and significantly faster for the installer by personalizing the system whereas other control platforms require programming. Both controllers are so efficient that they can be powered over Ethernet (PoE) drawing less than 4W and 5W respectively. With the g1 Series, Core Brands offers dealers a range of full featured, affordably priced entertainment and control systems that deliver more performance and greater value than is offered by competitors in similarly configured systems. The “good,” “better,” and “best” options within the g1 create a one-stop-shop for any dealer working on any size “entry level” system. The gMV “UltraMatrix” line gives every ELAN dealer the opportunity to conquer even the largest jobs. The gMV line is a “single box” solution to the managing HDMI and audio switching. This single audio and video switching chassis is designed to cut installation time, simplify wiring runs and reduce costs while handling even the largest projects. We think it’s the most flexible HDMI switcher on the market today, which integrators will love. Also, because they are built for the ELAN g! system, configuration can be completed in minutes instead of hours or days. What does ELAN and CORE Brands do to support their dealer/integrators? Our dealers tell us “We start every job with Core Brands”. We believe this statement is made based on our support, product range and business program that drives profitability. Core Brands offers dealers a complete program online and live training, a team of in field system design and system support experts, case study presentations to present new ways to make money with Core Brands, and in-person training programs to make sure that they remain totally current with the latest product and technology developments. We are revamping “g! School,” to be the custom installation industry’s best online resource for subject-specific training. In addition, every sales region in the country has Regional Technical Specialists that can work with dealers in the field on live projects as they are being designed and implemented. And we have the best programs in the industry; with our audio and power brands attaching to any and all ELAN systems, dealers can immediately benefit from Core Brands programs that offer real incentives for working with our multiple brands. Do you see any future trends in this category? Companies like Apple and Google are going to help drive the consumer’s awareness of and demand for smart home control systems, and their entry into the market is going to produce a boon in business for those custom installation integrators that are prepared and trained to take advantage of the opportunities. Anyone can buy a light switch, thermostat or faucet at Home Depot yet there are still professional installers of these projects. We see a future where we can bridge the gap between mass market AND custom products through our professional installation partners to meet the needs of people who want this technology to just work. Likewise for the 2GIG Go! Control line from our Nortek sister company, Linear; its “security-centric” approach creates a new and exciting entry point to control. In fact, Nortek has the largest install base of control platforms, anchored by 2GIG from the security and access entry point and ELAN from the entertainment and automation. So the exciting and overall trend is more entry points into automation and control. I’m particularly excited about this because ELAN, Core Brands and Nortek are uniquely positioned to capitalize on it. Again, we think that we (Core Brands) have the best program in the industry. And ones that also offer benefits to consumers. For example, it only makes sense to put Panamax or Furman power conditioning and protection with any ELAN job you are doing for a client. You’ve made an investment in control; let’s protect it with the best. ELAN Home Systems is a leading manufacturer of innovative, award-winning distributed audio/video and home automation systems. Based in Lexington, KY, the company's systems were the first to integrate audio, video, phones and third-party products to create a seamless, easy-to-use "whole house" experience. The company's unique products provide complete lifestyle, feature-rich solutions, yet can be configured to fit the specific needs of every homeowner. ELAN products are distributed through a comprehensive channel of select Dealers and Distributors throughout the United States, Canada and 58 countries worldwide. 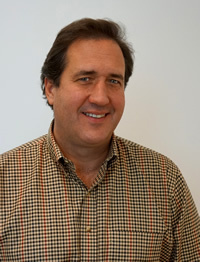 To learn more, visit www.elanhomesystems.com .